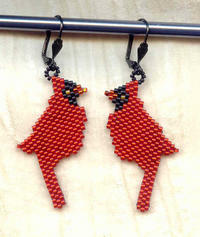 Glowing red seed beads have been individually stitched into place to make these charming symbols of winter and Yuletide. I've suspended them from gunmetal lever back findings (since gunmetal contains nickel, I'll gladly change the findings to sterling silver for ladies who are sensitive to that element). The earrings measure about 2-1/2" from finding top to tail tip. They're so light weight, you'll forget you're wearing them. They're another original design from SPARKLE PLENTY! 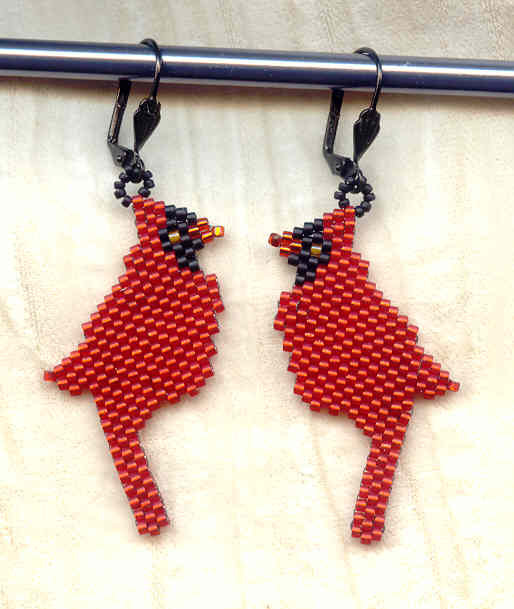 Slick red and black beads make these critters look as if they've just come out of the water.